Back in March, a man named Curtis Smith climbed over a stone wall bordering the White House and was arrested by the Secret Service. Chester County District Attorney Tom Hogan said Tuesday that Smith attacked a deputy in the state's Chester County Justice Center Tuesday morning at around noon; Hogan said that Smith had entered with a knife and attempted to stab a deputy, at which point another deputy in the courthouse opened fire on Smith, leaving him injured. Later, Smith died at Paoli Hospital, WPVI-TV reports. The Associated Press reported in March that Smith had climbed over a stone wall at 15th and E Street in D.C., and was immediately apprehended by the Secret Service. 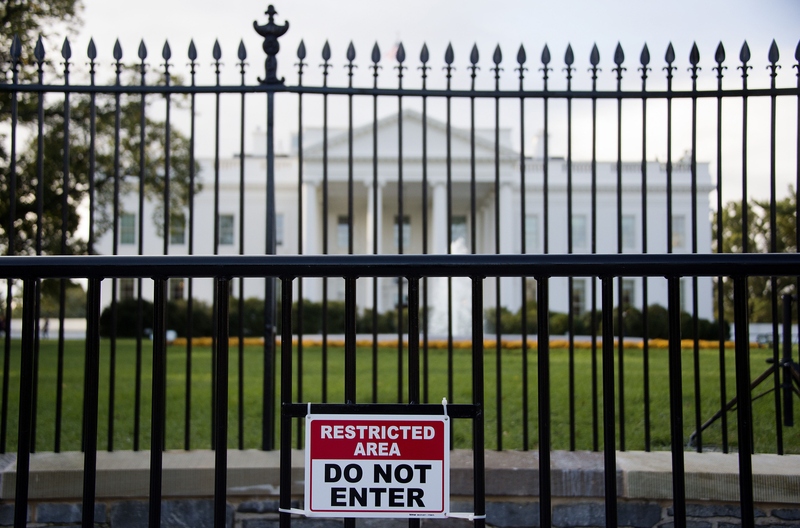 The incident was one of three that March weekend, which saw three people arrested while separately trying to access the White House grounds in the period of 24 hours. Smith was charged with unlawful entry at the time, but six months later apparently assaulted the officer in the Pennsylvania courthouse, which led to his death. Smith was originally from Coatesville, Pennsylvania. After the officer opened fire on Smith, the situation was reported to be a shooting at the hands of a suspect. Hogan noted in his press conference that this did not seem to be the case.